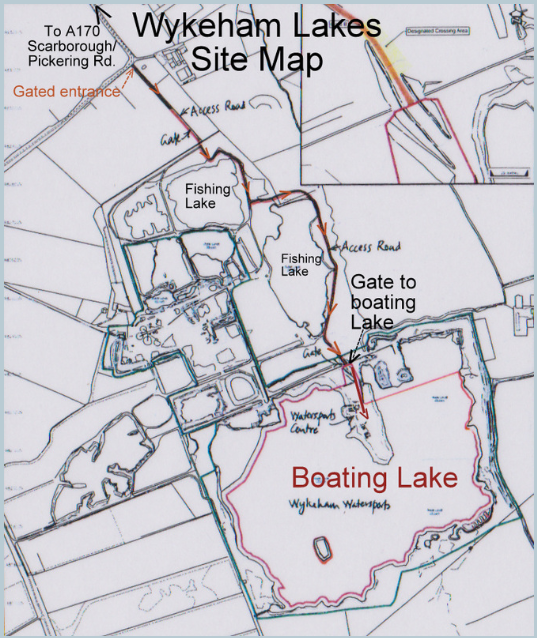 ​How to find us at Wykeham Lakes. Take the A170 from Scarborough to Pickering Rd. after passing through East and West Ayton take the first left turn onto a single track lane at the end of which is a sharp r/hand turn with a gated entrance to the Lakes (marked on map) to the right of the house. Once arrived follow the signs to the boating lake as shown on the map below.